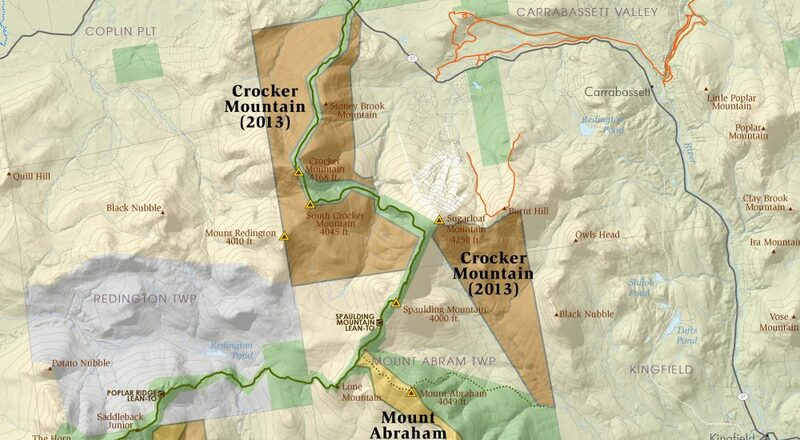 Crocker Mountain, which is actually two parcels linked across Sugarloaf Mountain, was completed in 2013 as a collaborative project with The Trust for Public Land. 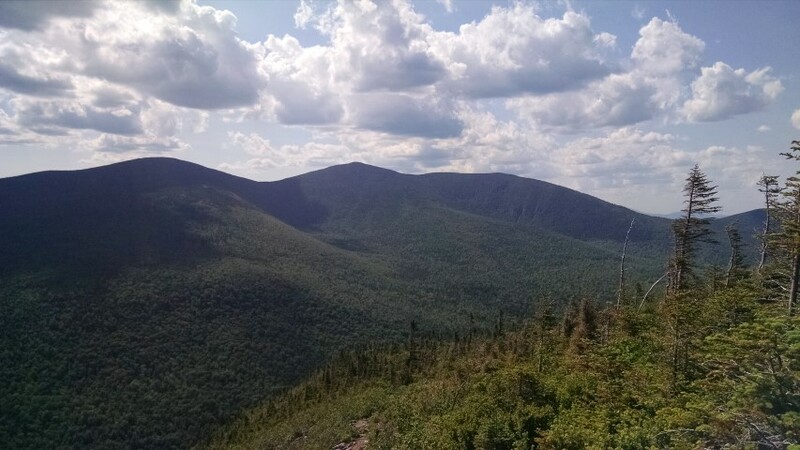 One of the largest conservation project on the entire Appalachian Trail, this project of approximately 12,046 acres now owned and managed by the Maine Bureau of Parks and Lands protects ten miles of the A.T. corridor. Crocker Cirque, a notable geographical feature, lies within the landscape, which contains Bicknell’s Thrush habitat, rare spruce-fir-heartleaf subalpine forest, and trail access for motorized (ATV, snowmobile) and non-motorized (hiking, mountain biking, cross country skiing, snowshoeing) activities. The protection of Crocker Mountain was made possible by the federal Forest Legacy Program, Land for Maine’s Future Program, and private foundations and individual donors.